Nick is your local Jervis Bay Building Inspector. Nick lives and works on the South Coast of New South Wales. He originally started his working career in Real Estate after completing a Certificate in Real Estate almost 30 years ago. A career change to Carpentry and Joinery soon followed and Nick worked for the next 15 years in this field managing his own carpentry business. 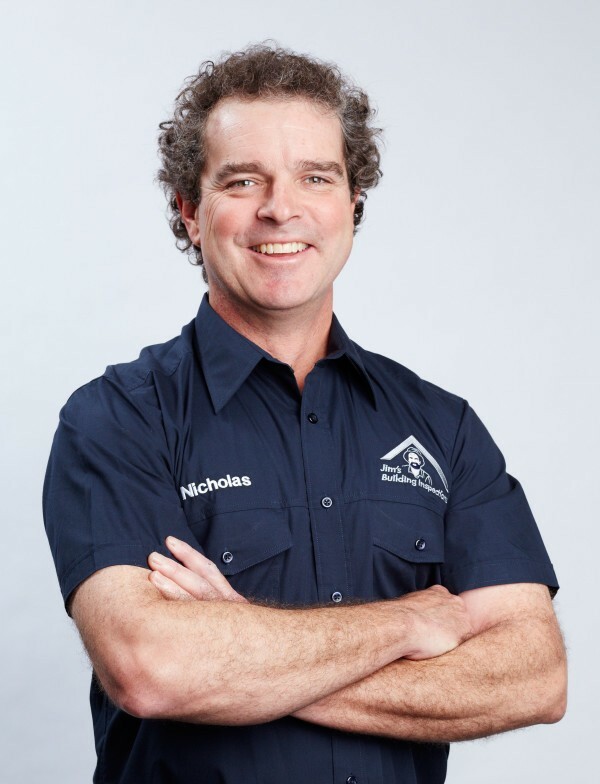 Upon relocating to the South Cost of New South Wales, Nick completed his Certificate IV in Building in 2008 and was kept very busy with both residential and commercial building projects. With a desire to look toward a different opportunity in his field, Nick decided to join Jim’s Building Inspections in 2014. After nearly 25 years in the building industry, he was keen to put his skills to use in his new business. Now fully ensconced in Vincentia in the heart of Jervis Bay, Nick and his wife and three children were eager to build up their business in an area that they are glad to call home. When Nick is not working he enjoys spending time with his family, attending as many of their extra-curricular activities as possible. He also enjoys golf, skiing and camping.